The diagnosis of heart conditions usually involves advanced imaging using ultrasound, computed tomography (CT) or magnetic resonance (MR) technology. Different heart conditions will require the use of specific imaging modalities for diagnosis. At The Heart & Vascular Centre, we provide state-of-the-art imaging for the assessment of a wide variety of heart conditions. This modality uses ultrasound technology to assess the heart structure and function. It is non-invasive and does not involve radiation. An ultrasound probe is placed on the left side of the chest to acquire images of the moving heart. This modality combines the use of ECG and echocardiography to assess for the presence of significant coronary artery disease. The heart should be assessed under a “stressed” state, ie by making the heart beat harder and faster. An ultrasound probe is placed on the left side of the chest to acquire images of the moving heart:Exercise treadmill. This is the preferred method for patients who are able to exercise. Pharmacological stress. A medication called dobutamine can be infused into the vein to make the heart beat faster and harder. This is often used in patients who are unable to exercise on the treadmill. Transoesophageal echocardiography, also known as TEE or TOE, involves the insertion of a ultrasound probe into the oesophagus (swallowing tube), much like the scope used for gastroscopes. This ultrasound probe is inserted to the mid to deep oesophagus levels and allows for accurate assessment of the heart. This procedure is done under local anaesthesia and mild sedation. TEE allows for the evaluation of the parts of the heart that are not well visualised with the Transthoracic Echocardiography. This test is especially helpful in diagnosing certain heart conditions such as mitral valve disease, left atrial appendage clots and infective endocarditis. CT Coronary Angiography is a non-invasive way of imaging the coronary arteries. It allows for the accurate assessment of blockages. This test involves the injection of an iodinated contrast into your body as you pass through a CT scanner. This contrast will help “light up” your coronary arteries, enabling the radiologist to assess for blockages. 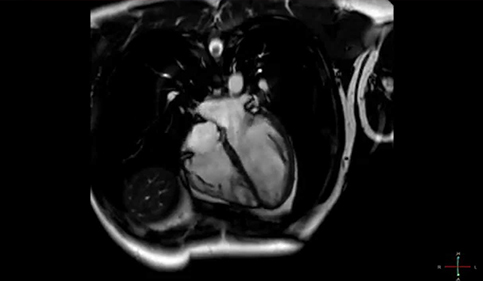 Cardiac MRI is a non-invasive, advanced imaging modality that allows for the assessment of heart structures and function. The injection of a contrast (called “Gadolinium”) will enhance the scan and aid in the further assessment of specific conditions such as scarring of the heart or abnormal deposits of proteins. Myocardial Perfusion Imaging is a non-invasive way of assessing how well blood flows to the different parts of the heart muscle. This involves the injection of a radioactive tracer into your blood. The tracer is taken up by the heart muscles as blood flows through. A special scanner will then be used to detect the amount of tracer taken up by the different segments of your heart – this allows your doctor to tell if there are areas of your heart that blood flow is inadequate, indicative of narrowed arteries. Assessment of the Carotid and Peripheral blood vessels may be useful to assess for symptoms such as stroke or pain on walking (also known as “claudication”). A comprehensive ultrasound scan of the blood vessels can help detect areas of narrowing, allowing for the planning of appropriate treatment to unblock them.